If you've got bed bugs, exterminators that are bed bug experts are always your best option. Learn why you need a pro, how to pick a good one, what to expect, and how to work with yours for optimal results. This is the main page of the mini-guide on finding and working with a well-qualified bed bug exterminator. It covers the basics - with links to additional articles for more in depth information. Why Hire an Exterminator to Get Rid of Bed Bugs? While it is possible to get rid of bed bugs yourself, if you take the right pest control approach, I don't recommend it unless you absolutely have no other option. Hiring a professional who has verifiable experience and success with exterminating bed bugs is a much better bet. Why? Well for starters, bed bug infestations are usually very difficult to deal with. So calling in a pro if you can all afford it just makes sense. It will save you a lot of headache and hassle. They have access to the tools and techniques that are most effective, so they can help you get rid of bed bugs much more quickly than you could do it on your own. Then of course there's the "peace of mind" factor. You could easily end up spending as much or more money by trying to do it yourself. Especially if you make some of the common mistakes. 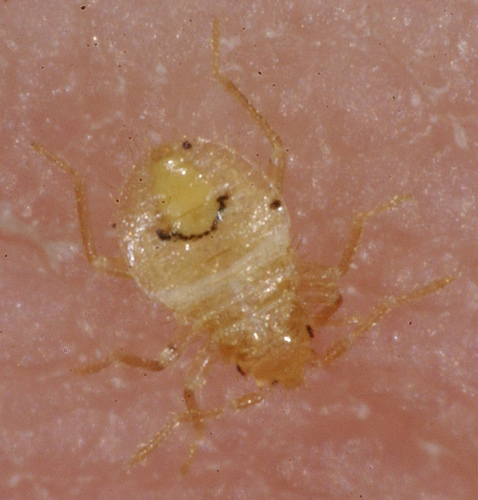 Plus, some types of bed bug extermination techniques, like whole house heat treatments, can only be done using specialized equipment that has to be operated by a pest control pro. If you've tried to get rid of bed bugs on your own...and made a critical mistake like using a bed bug fogger (aka "bug bomb")...then you really need the help of an exterminator that truly knows bed bugs - because you've made your situation much, much worse! 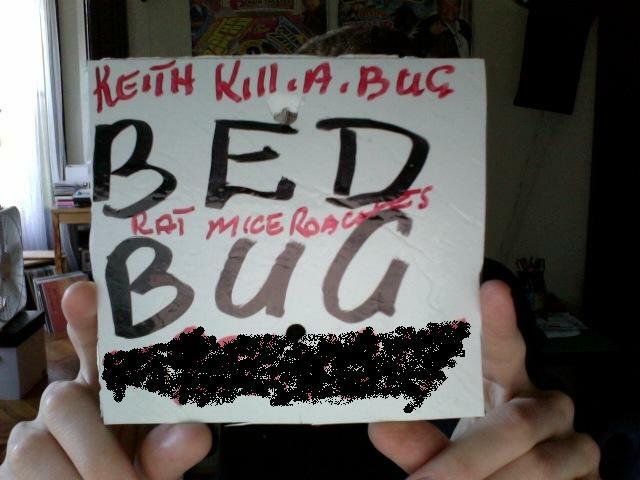 If you've decided to hire a professional bed bugs exterminator, that's a good choice. But, now you need to make the right choice about which pro to use. Believe it or not, making the right choice regarding which exterminator you use is much more important than you might think. The fact is, many exterminators are not experts in dealing with bed bugs. Unfortunately, dealing with a bed bug infestation is not like dealing with most other insect problems. And bed bugs are a relatively new problem (at least in recent history). So you need to find a pro that really knows their stuff when it comes to exterminating bed bugs. How do you do that? My best advice is to do your homework and trust your gut as you watch out for red flags. That means you have to ask questions...lots of questions. Then, verify the answers by doing some fact-checking. It also means that you need to compare at least three well-qualified bed bug exterminators before you make a choice. To start with, make sure you're only considering reputable exterminators with proper credentials. They must be licensed pest control operators and should be members of local, state, or the National Pest Management Association (the link takes you to their search by zipcode function). Don't forget to check out each company you're considering at your local Better Business Bureau. If you're tempted to go with the cheapest quote for treatment you can find - that might not be the wisest choice. I'm not saying you have to go with the most expensive one either. But before you make a cost-based decision, make sure the companies you are considering all meet the minimum requirements and have some verifiable proof of success in exterminating bed bugs. Hiring this guy would be a definite mistake! Once they pass that round, it's time to find out about their bed bug expertise. Ask questions like how long they have been doing bed bug treatments and what kind of techniques they use. They should be using more than one technique together in an integrated approach. Ask how long it usually takes for the treatment to be successful. If everything sounds good so far, ask for them to put you in contact with a couple of satisfied customers that had bed bugs. If they can't or aren't willing to do that, that's a definite red flag. There are a total of 8 expectations any good bed bug exterminator should meet before you write them a check or allow them to start any kind of treatment on your home. Here's a quick overview of the most basic ones. At a minimum, you should expect a good bed bug exterminator to be courteous, listen to all of your questions, and provide reasonable answers that satisfy you. Ideally, they should be asking you questions too - like whether you have any children, pets, or concerns about what types of treatments they use. They should complete a thorough inspection to determine whether you really have bed bugs. Even if you've found evidence, they should inspect to determine the extent of the infestation and which areas need to be treated. This should take them a while. If they complete their inspection is just a few minutes, they have not done a thorough job. Never let anyone treat your home for bed bugs if they do not show you evidence of a bed bug infestation first. They should explain the treatment they are planning and provide you the names of any chemical pesticides they're planning to use. They should also provide you the MSDS (material safety data sheet) on any chemical they plan to use. That will explain the hazards associated with that product and provide instructions on what to do if you are exposed to it. They should also be clear on the cost of the treatment (give you a written estimate) and what exactly that includes. Bed bug extermination often requires multiple treatments. So it should be explicitly stated whether (and how many) subsequent treatments are included and what intervals. Any guarantees should also be clearly spelled out. NOTE: You don't need a "preventative maintenance plan" for bed bugs. That's another red flag. A true bed bugs exterminator knows this. And if they are reputable, they will not try to sell you that kind of service. So you've made the wise decision to hire a pest control professional. And you've done your homework to weed through your local exterminators and find a true expert on bed bugs. Great! Now you'll want to do your part to ensure success. Here are three tips on how to work with your pro to get the best and quickest results possible...and the most bang for your buck. Be up front with them about anything and everything you've already done to try to control the situation yourself. They need to take that into consideration when they do their inspection and when they design the pest control strategy for your particular situation. So do yourself and them a favor - don't keep anything a secret. Follow their instructions completely, both before the inspection and after the initial treatment. If they don't give you instructions, ask. There are no hard and fast rules, and different exterminators have different preferences and protocols. So don't assume that you know what to do because of something you read on the internet. Don't try to "help" by doing additional treatments yourself (unless it is recommended or pre-approved by your pro). So often people end up interfering with the effectiveness of professional treatment by trying to "add-on" to what the exterminator has done. If you're tempted to sprinkle a little of this or spray a little of that...just don't do it. Even if it is a so-called "natural product", deemed to be "totally safe" or the latest thing that is claimed to be the "miracle cure". You're hiring a pro for a reason - and a good one at that. If you choose a bed bugs exterminator that is really an expert in that area, then they have the know-how to get the job done as quickly, efficiently, and safely as possible. The last thing you want to do is un-do their work by trying to do-it-yourself.